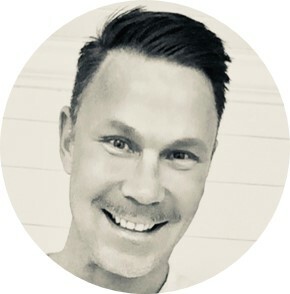 Martin Larsson, the owner of Hotel Labs, is a highly energetic and accomplished professional with more then 20 years of excellent track record in New York, LA and Miami Beach’s tourism industry. Born and raised in Sweden, Larsson graduated from University of Miami and started working in Miami Beach’s flourishing hotel industry back in 1992. After four years in Miami Beach’s hotel industry, Larsson was recruited in 1996 to work as the Communications Manager for music genius and composer Sir Andrew Lloyd Weber in New York. Here Larsson gained vast skills in the Public Relations sector that later proved vital to his continued success. Recruited again by the Rubell family (Studio 54) after their highly publicised split from “Hotel Icon” Ian Schrager, Larsson catapulted his hotel career becoming one of the youngest Managing Directors operating for several years a small collection of 4 hotels in Miami Beach and Washington DC, known as Rubell Hotels. Larsson joined Thompson Hotels in 2002 as Director of Sales and Marketing for the Sagamore Hotel, Miami Beach. He held the position as the Regional Director of Sales and Marketing for Thompson Hotels in their New York Corporate office before taking the leap of opening up Hotel Labs in 2006. Since 2006 until today, Larsson has worked side by side with many hotel clients providing sales representation in both New York and Miami and assigned special consulting projects such as openings, takeovers and more.